Islamabad: Pakistan's ousted prime minister Nawaz Sharif on Monday returned to the country from the UK after nearly a month to face corruption and money laundering charges in the Panama Papers scandal. He was in London from 31 August to be with his ailing wife Kulsoom who is undergoing treatment for throat cancer. Sharif, 67, decided to return after consultations with senior party leaders including his younger brother and Punjab province Chief Minister Shahbaz Sharif in London, party officials said. The aircraft carrying him landed here at around 7.30 am and a confident Sharif came out, waved to his supporters and left, TV news reports showed. 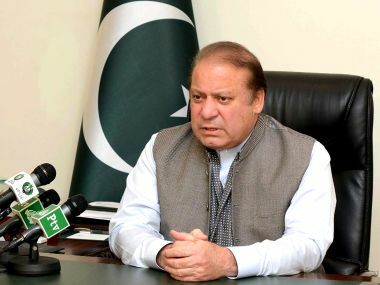 Pakistan Muslim League-Nawaz (PML-N) officials said that he would stay in Punjab House in Islamabad and hold meetings with party leaders on Monday and Tuesday. Sharif's spokesman Asif Kirmani told reporters that the former premier would appear before the accountability court on Tuesday. "Nawaz Sharif is meeting with advisors and party leaders for political and legal consultations. He would appear before the court on Tuesday," he said. The Accountability Court in Islamabad, which is hearing the corruption cases against the Sharif family, last week summoned Sharif, his daughter Maryam and son-in-law capt (retd) Safdar to appear before it on 26 September. Sharif stepped down after the Supreme Court disqualified him on 28 July from continuing in his office for dishonesty and ruled that corruption cases be filed against him and his children. 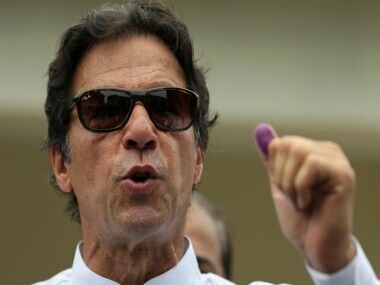 The National Accountability Bureau (NAB) has filed three cases of corruption and money laundering against Sharif, his sons—Hassan and Hussain, daughter—Maryam, son-in-law—Safdar, and Finance Minister Ishaq Dar in the Accountability Court in Islamabad and Rawalpindi recently. The anti-graft body last week froze the bank accounts and seized properties of Sharif and his family members to put pressure on them to appear before the court. Earlier, Sharif skipped a court hearing last week to defy the cases. His family has alleged that the cases are politically motivated. Maryam said that Sharif was returning to face cases for the sake of his people. "Knowing what he faces is not accountability, the man decides to return. It is not about this person anymore. 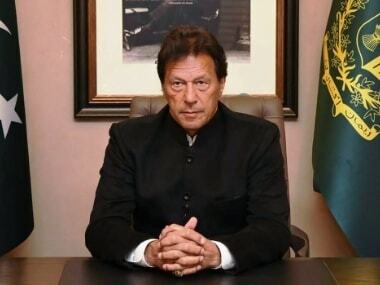 It is the battle of 200 million (Pakistanis)," she said in a tweet. Sharif's wife has undergone three successful surgeries for her cancer. Kulsoom contested on Lahore's NA-120 seat that fell vacant in the wake of his disqualification and won.